In Academic OneFile, a permalink is referred to as a Bookmark URL. 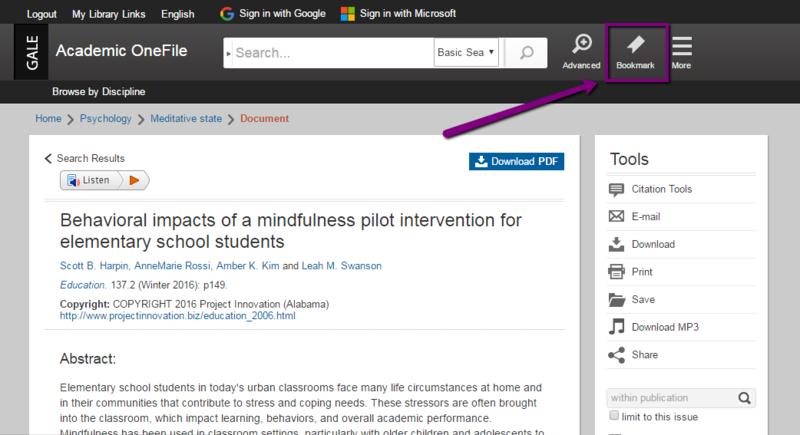 To locate the Bookmark URL for a specific resource or a results page, click on "Bookmark." A window will open with the Bookmark URL.